On June 30, President Obama committed the United States to the goal of generating 20 percent of its electricity from renewable sources by 2030. This would nearly triple the amount of wind- and solar-generated electricity on the national grid, Rupert Darwall writes in the Wall Street Journal. Recently Bill Gates explained why current renewables are dead-end technologies. They are unreliable. Battery storage is inadequate. Wind and solar output depends on the weather. The cost of decarbonization using today’s technology is “beyond astronomical,” Mr. Gates concluded. If President Obama gets his way, the United States will follow the road traveled by the European Union. 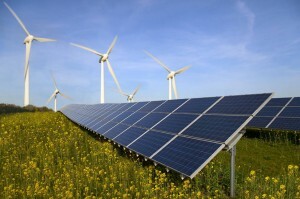 In 2007, Europe adopted the target of deriving 20 percent of its energy consumption from renewables by 2020. To see what the U.S. might look like, Europe is a good place to start. – Germany passed its first renewable law in 1991 and already has spent $440 billion on its so-called Energy Transition. – The German environment minister has estimated a cost of up to $1.1 trillion by the end of the 2030s. – With an economy nearly five times as large as Germany’s and generating nearly seven times the amount of electricity, this suggests the cost of meeting Mr. Obama’s pledge is of the order of $2 trillion. One unintended consequence of the fracking boom, however, is the displacement of coal by natural gas. A 2014 Brookings Institution study estimated that replacing coal with modern combined-cycle gas turbines cuts 2.6 times more carbon-dioxide emissions than using wind does, and cuts four times as many emissions as solar. Mr. Obama’s renewable target does not produce jobs, growth or prosperity.